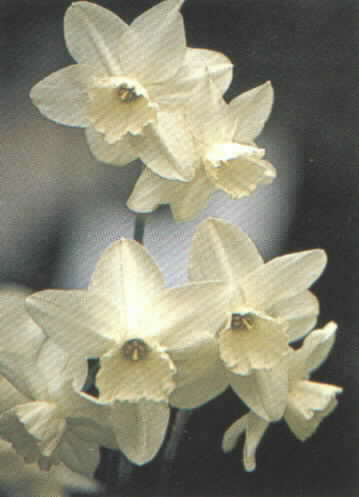 A white daffodil can give the garden a whimsical feel. They come in different colors and sizes. Children really love the miniature ones. A white one, like the one seen on the left, will give color and texture to the moon garden in the spring. A white and yellow variety would also be a good choice for the moon garden.